Prior to this career, Jesse spent three years serving in the U.S. Army, having been moved to volunteer after the events of September 11, 2001. The dedicated work ethic that he brings to Gateway Wealth Strategies was refined in the military, having earned the rank of sergeant in just two years. 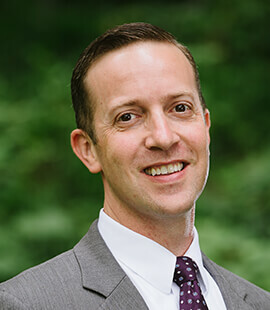 Jesse is dedicated to the continual advancement of competent and ethical financial advice, and is a member of both the South Carolina chapter of the Financial Planning Association and the Greenville Estate Planning Council. Because he is also dedicated to increasing team expertise, Jesse is currently working to achieve another advanced designation, that of Chartered Retirement Plans Specialist℠. Jesse graduated with a Business Administration degree from the University of Illinois at Chicago in 2007, before moving to the upstate with his wife, Angela. Today, the couple enjoys life with their three sons with whom they’ve been blessed. Jesse also enjoys regular trips to the beach with a camera in his hand and family by his side.